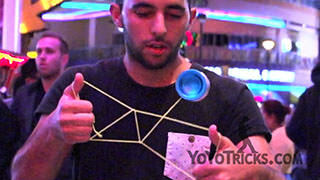 Learn Paul Kerbel’s yoyo trick, the Bottle Neck. 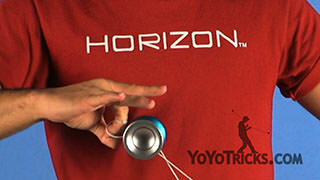 Bottle Neck Yoyo TrickIn this video I am going to teach you how to do the Bottle Neck, and it looks like this. In order to do this trick, we need to be able to hit in a vertical position. It looks like this. We are going to start with a Trapeze, and we will bring the string over our neck. 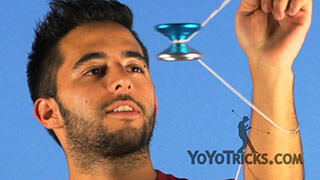 Then we will place the string from our yoyo hand under the yoyo. 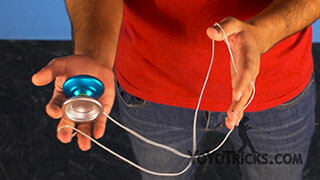 Make sure the yoyo is between your body and your yoyo hand. Then we will do a circular motion with our hand and we will bring the hand and the yoyo around our neck. We will stop the yoyo once it goes around the neck with our yoyo hand, and we will place our non-yoyo hand in-between our yoyo hand and our body. 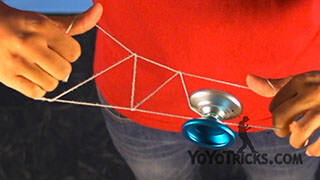 Then we will push the yoyo to the outside until we unmount the yoyo from the strings. From here, you need to spread your arms apart in order to make the yoyo go around your neck, and then get into a Trapeze. 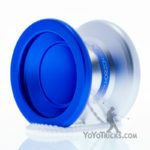 To make it in a horizontal or sideways position, we throw a Breakaway into a finger spin, we will put the string behind our neck and make sure when you put the string on the yoyo your yoyo hand is over the yoyo and not under. Then we will go around, at the same time we move the finger spin and the yoyo hand, like this, so we keep the motion of the yoyo and it does not fall. Make sure when you finish this step the yoyo keeps moving so it doesn’t fall and makes a horrible tangle. 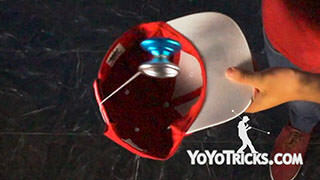 Also, you want to make sure that your opposite hand is between your yoyo hand and your body when dismounting the yoyo. In order to make the yoyo go around our neck when we are dismounting, make sure you pull your arms apart, and you can bind the yoyo either with a generic bind, or with a finger-spin bind. This was the Bottle Neck. Sometimes I can’t decide whether to use the Horizon or the Mighty Flea to compete.